Indian Country's New Health Care Jobs Could Vanish With Obamacare Repeal : Shots - Health News Many Native Americans have shifted to the Affordable Care Act for health coverage, and in rural Montana that's created jobs. The state could lose 3,000 health care jobs if the ACA is repealed. 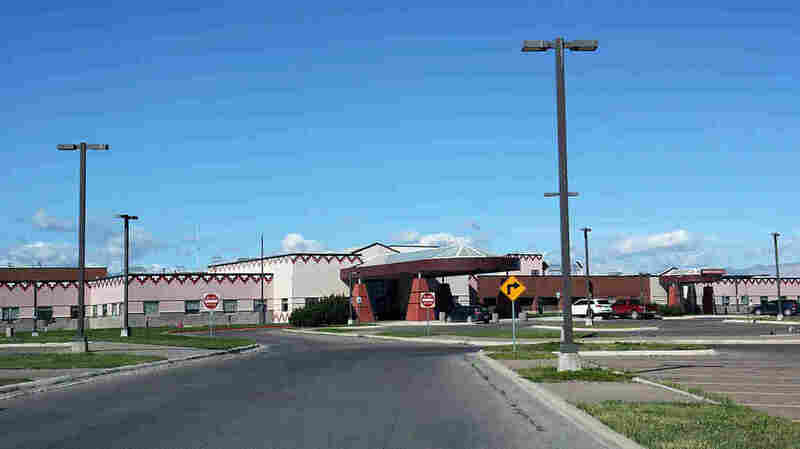 The Blackfeet Community Hospital in Browning, Mont. Since its founding in the 1950s, the Indian Health Service has provided medical care for many Native Americans. But the service has been chronically underfunded, so often pays for care only if someone is in immediate danger of losing life or limb. In recent years, the Affordable Care Act created new health coverage opportunities for more than half a million Native Americans and Alaska Natives — and created jobs in Indian country, too. The Blackfeet Community Hospital in Browning, Mont., is one example of this trend. It's the only hospital on the Blackfeet reservation, and traditionally got most of its funds from the Indian Health Service. Then, last year, Montana expanded Medicaid. That program, jointly funded by the federal and state governments to cover the health needs of people with low incomes, now covers about one in seven people who live on the Blackfeet reservation. And still more reservation residents have bought subsidized health insurance on the exchange. So Blackfeet Community Hospital now needs an infrastructure to deal with the paperwork that comes with accepting Medicaid or private insurance. The hospital has hired new administrators, including Blackfeet tribal member Gerald Murray. "Whatever's not paid, I go through and make sure it's all paid," Murray says. He got his job in April — a month before he'd even graduated. The tribe's community college started a new curriculum after the federal health law passed, to help meet the growing demand for employees in Indian country who can process insurance claims. 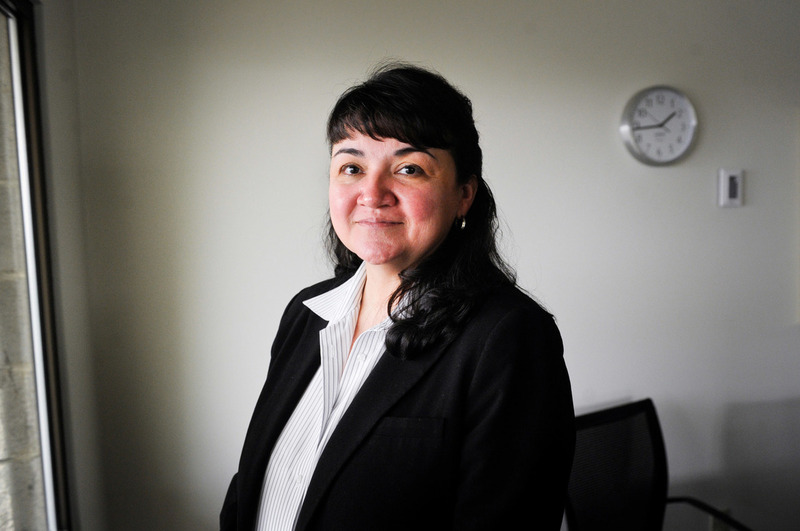 Murray is part of Obamacare's transformative power for Native American communities, says Montana's director of American Indian Health, Mary Lynn Billy-Old Coyote. "To me, there's opportunity there to not only build healthcare," she says, "but to build your entire community and build jobs." Unemployment on most of Montana's Indian reservations is at least double that of the rest of the state. And people who are working don't always get health insurance with their jobs, explains Billy-Old Coyote. So the subsidies that helped tribal members buy insurance under the Affordable Care Act have been a big deal for residents who are used to being turned away when they ask the Indian Health Service to pay for medical care. Most Montanans, Native or not, can now get health insurance policies for about $75 a month. Mary Lynne Bill-Old Coyote, Montana's director of Indian health, says the ACA has helped build the community by providing job opportunities. Montana saw 3 percent growth last year in the number of health care jobs. "Now you've got an opportunity for American Indian people to truly have access to private insurance," Billy-Old Coyote says. "You have access to greater networks of providers and specialists, and all the things we generally don't see." Medicaid expansion had a lot to do with the 3 percent growth Montana saw last year in the number of health care jobs in the state, she says. And Montana schools, including tribal colleges, are offering more classes in health care fields. At Blackfeet Community College, 23-year-old Leroy Bearmedicine, is working toward certification as an emergency medical technician. "I'd like to become a registered nurse at some point," he says. "Maybe even work my way up to flight nurse — something to get the adrenaline going,"
Native American leaders have seen the Affordable Care Act as a means of remedying a series of broken promises from the federal government. But the hope Obamacare brought to Indian country is now fading, too, they say. One estimate suggests Montana will lose 3,000 health care jobs if the federal health law is repealed. This story is part of NPR's partnership with Montana Public Radio and Kaiser Health News.